Paul Hans Jepsen was born March 27, 1909 in Manhattan, New York City. His father, Hans Jepsen, was born 1881 in Copenhagen Denmark and came to America in 1899. His mother, Minnie K. Hansen, was born 1884 in Copenhagen Denmark. She came to America in 1902. His parents married in New York City in 1907. Paul was their first child. Their second child, Howard, died in infancy. Their daughter Ada was born in 1915. They lived at 5419 Sixth Avenue in Brooklyn. His father was a skilled machinist and toolmaker. Young Paul Jepsen was an avid member of The Boy Scouts. On January 24, 1924 he was awarded the rare Stalking Merit Badge, for which no other Brooklyn member of the Boy Scouts had ever before been qualified. 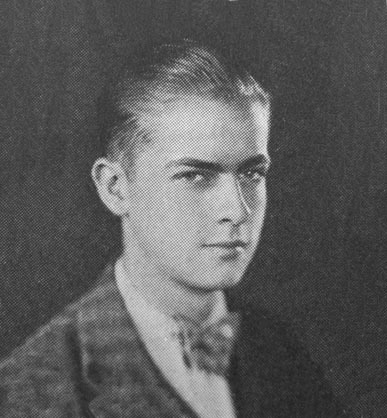 In June 1927 he graduated high school. From 1927 until 1930 he attended the School of Art at the Pratt Institute in Brooklyn, where he studied with H. Winfield Scott, John Fleming Gould, and Rudolph Belarski. His fellow art students included A. Leslie Ross, H. C. Kiefer, H. W. Kiemle, and Joseph Szokoli. In 1929 "Jep" was elected Class President. He graduated from Pratt Institute in June of 1930. He received a Certificate of Completion, rather than a formal BFA college diploma, which the school was not yet able to offer. He is described in the year book as "a polished gent, bright as a new-bathed babe. 'Cute' is the consensus of opinion." The Brooklyn Daily Eagle reported on October 16, 1931 that "Mr. & Mrs. Hans Jepsen, with their daughter Ada Marie Jepsen and son Paul Jepsen, spent last weekend at a bungalow on Sound Beach, Long Island, NY." In the fall of 1931 he moved to an apartment at 319 Garfield Place in Brooklyn, where he used a spare room as an art studio. After freelancing for a few years he joined Adolphe Barreaux's art studio in 1935, where several other Pratt alumni were also employed, such as Kiemle, Kiefer and Szokoli. 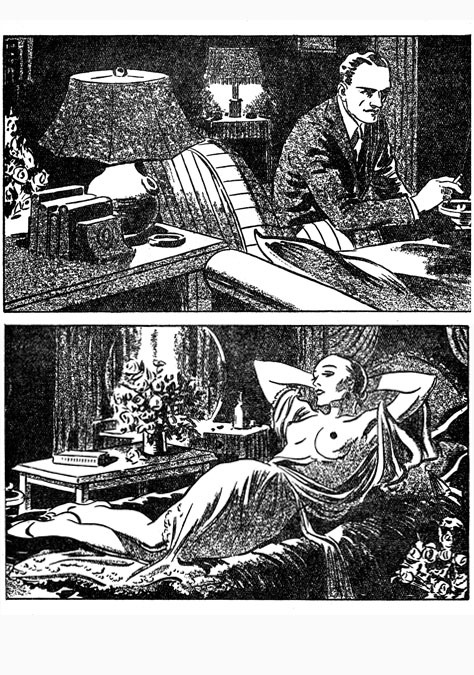 Barreaux's art studio was under contract to supply the black and white pen and ink interior story illustrations for Harry Donenfeld's pulp magazines, such as Snappy Romances and Spicy Adventures. 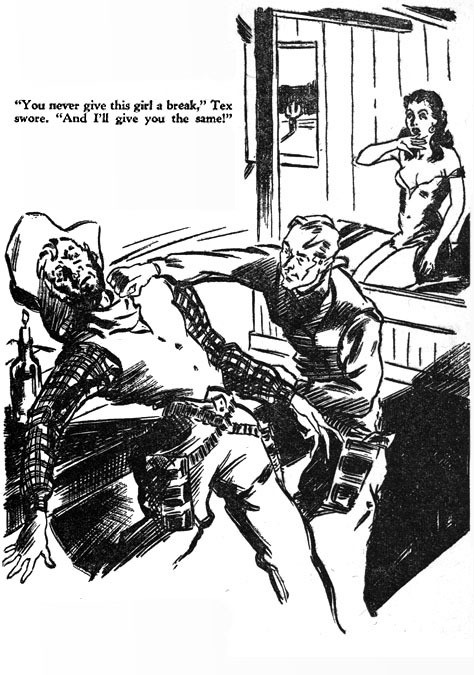 In the fall of 1935 a new group of syndicated comics were marketed to newspapers, which included The Enchanted Stone by Adolphe Barreaux and Rod Rian of the Sky Police by Paul H. Jepson. 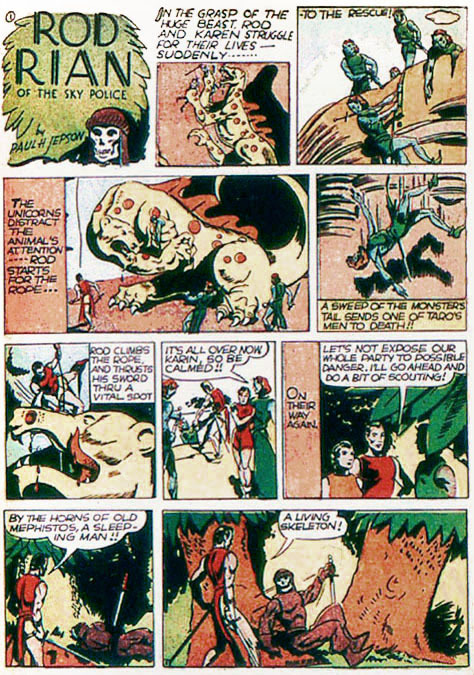 These comic strips appeared nationwide in various newspapers for several years. On November 27, 1936 Paul H. Jepsen married Edyth D. Waite. She was born 1908 in Brooklyn. They visited Bermuda for their honeymoon on the S.S. Queen of Bermuda. They first moved to 4 Saint Lukes Place in Brooklyn, but one year later they moved to 3 Midland Gardens in Bronxville, New York, where they raised daughter, Carla Jepsen. 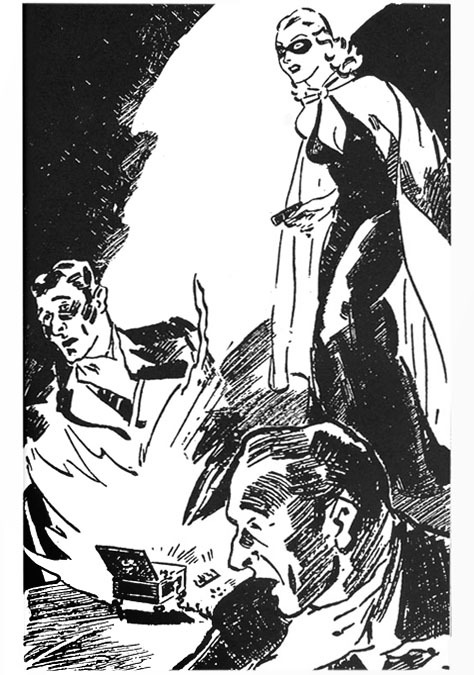 He continued to produced pen and ink story illustrations for Donenfeld pulps, such as Saucy Romantic Detective, Saucy Movie Tales, and Saucy Detective Stories. 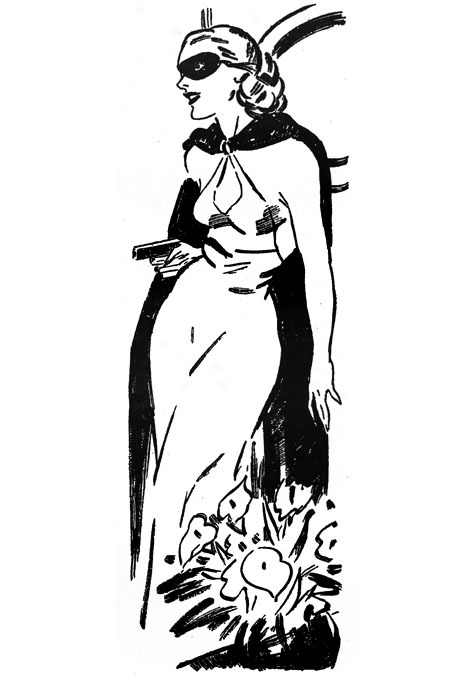 Jepsen drew in a distinctive style of glamorous fashion design. He sometimes used the name "Jepson," but most of his work was left unsigned. 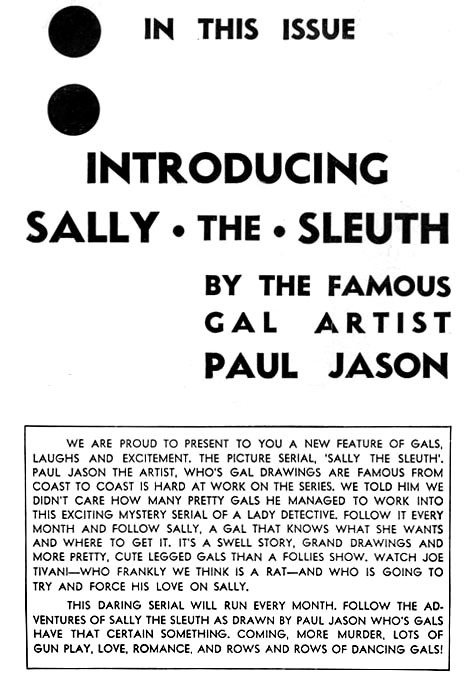 One remarkable exception was the April 1937 issue of Saucy Detective Stories, the inside cover of which lavishes gushing praise for his work under the alias "Paul Jason. The famous gal artist, whose gal drawings are famous from coast to coast. Paul Jason's gals have that certain something." 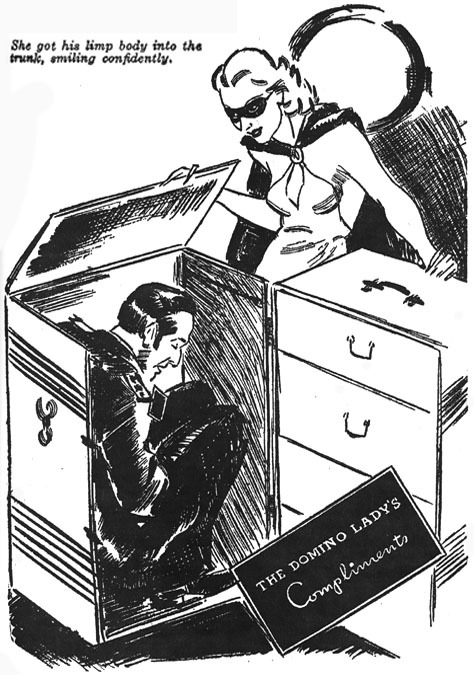 Curiously, he is credited as the artist of Sally The Sleuth, the long-running comic strip that was created by Adolphe Barreaux. 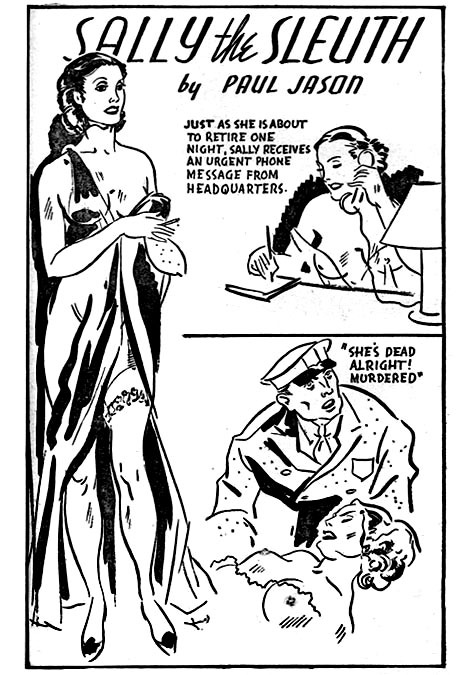 The Barreaux Art Agency evolved into the Majestic Studio, which produced some of the original material published in the earliest comic books, such as New Fun Comics and The Comics, which included Paul Jepsen's Rod Rian of the Sky Police as well as Adolphe Barreaux's The Enchanted Stone. 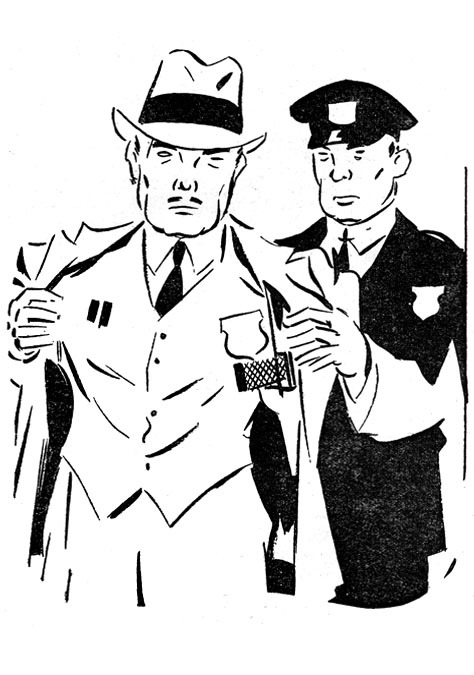 Jepsen continued to write, draw and ink Rod Rian of the Sky Police when it was later included in 1940 issues of Flash Comics published by Donenfeld's DC Comics. Paul Jepsen served in the military during WWII. He reported for enlistment on March 16, 1943. On July 28, 1946 his mother died. A few months later, on December 15, 1946, his father died. 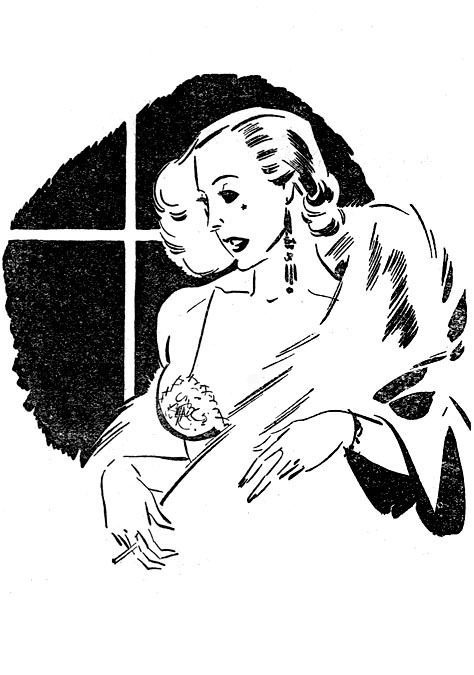 By 1953 the publishing industry of pulps and comic books was rocked by political scandal, self-censorship, lost readership, and the growing popularity of television. Adolphe Barreaux closed his studio when Trojan Publishing went bankrupt. Most of the artists that worked in publishing needed to find new sources of income. Paul Jepsen painted landscapes in watercolor and exhibited them in art galleries. He joined the Society of Illustrators of NY, and he was awarded prizes in the American Watercolor Society at the annual members exhibition of the National Academy of Design in NYC. Along with these efforts, he continued to look for income from occasional freelance art assignments in publishing and advertising. 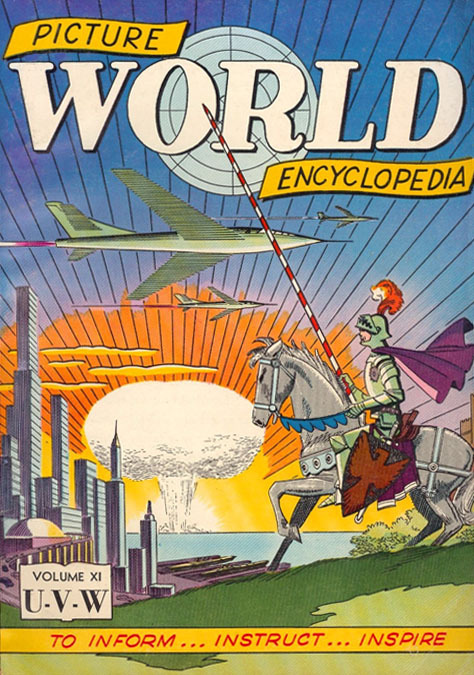 During the second half of the 1950s Jepsen contributed many illustrations to a juvenile reference work, The Picture World Encyclopedia, published by Chalton. According to advertising, this was the "first truly modern picture book encyclopedia specially written for children 6 to 16 and offered at fifty cents for each of the 12 volumes. There's never been an encyclopedia so easy to understand, so thrillingly presented, so up-to-the-minute with the very latest facts! No long wordy explanations. No dull, confusing language. The Picture World Encyclopedia informs in a bright, lively way. Every subject is illustrated in full color, with over 6,000 pictures in all!" This ambitious project took five years to complete and included illustrations by many artists, such as Rafael Astarita, Gene Fawcette, Robert Jenney, Ric Estrada, Bob Powell, and H. C. Kiefer. In 1955 he moved to 932 Valley Road, and later to 6 Deep Valley Road in New Canaan, Connecticut. He continued to work as a self-employed artist. His watercolors were exhibited in area art galleries. During the 1960s his wife Edyth was an executive organizer of the Annual New Canaan Outdoor Art Show, which included over 500 area artists. Their displays that lined the entire town's sidewalks and shop windows. In May and June of 1963 his watercolors were displayed at the Loricco-Hall Gallery 221-A Crown Street in New Haven, CT. He became a designer of "point-of-sale" displays for several leading American industries. 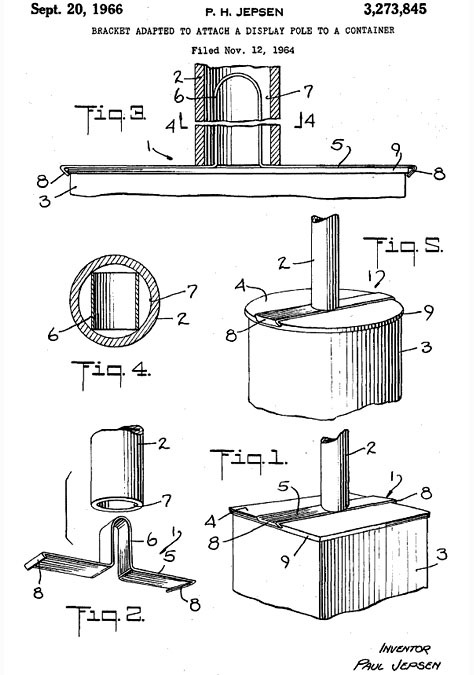 On September 20, 1966 he registered a patent for a unique advertising display design that was licensed to the Snyder, Black & Schlegel Manufacturing Company of White Plains, NY. Paul H. Jepsen died in New Canaan, CT, at the age of seventy-eight on September 16, 1987.